What Does It Mean To Be Open Source? Over the last 12 years I have participated in many discussions about what it means to be Open Source. 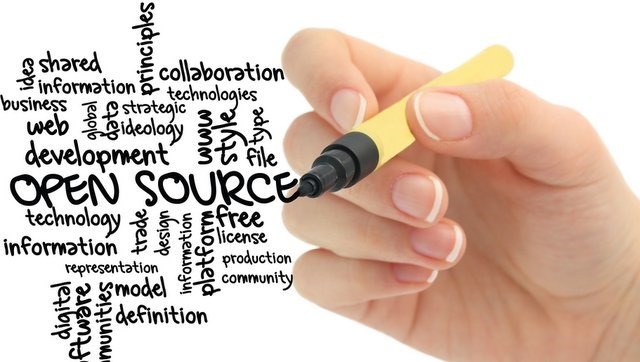 Is it enough that you follow the OSI definition of Open Source? Do you need to provide access to a public roadmap or offer nightly builds? Do you need to accept contributions, both large and small, to the core code base? Are there certain values your project and community should follow? All of these are great questions, many of which I discussed in my post 7 years ago on Re-defining Open Source. So, my answer to all of these questions is – it depends. It depends on your goals for the project. If your goals are to create software that can be easily shared, modified and re-distributed by end users, then I don’t think you need to do anything beyond using an OS license and providing access to the source code. However, if your goal is to build Open Source software and create a thriving community around that software, then it will take much more than just picking a license and throwing code up on GitHub. I really like the DNN platform. It is a great platform for building websites and web applications. My real passion however is for the DNN Community. The community is the heart and soul of DNN. It is the community that first inspired me to get involved with DNN. I spent many long nights in 2003, 2004 and 2005 working on software that I didn’t get paid for. I have answered thousands of questions in the forums over the years. All of this was done because I was part of an amazing community that was working together to create a truly great piece of software. I have worked on many personal software projects over the years, but none of them had the DNN community behind them, and none of those projects held my interest the way DNN has. So today when I talk about what it means to be Open Source, it means building a great product with a thriving community. Last week when Navin first asked me to take on the task of managing the DNN Platform and the DNN Community, my first thoughts were around what it would take to re-invigorate the community. I don’t believe that will be an easy task because there are a lot of things that both DNN Corp and the community will need to change to accomplish this goal. I also know that we have some technology challenges to address in the DNN Platform, but having been involved with DNN during the 1.0 days, it is very clear to me that if we get the community part right, the technology issues will get fixed in due course. Over the last week I have had a lot of one on one and group conversations with members of the DNN Community. I used this time to convey my vision for what we needed and to hear what these community members thought were the most pressing community issues. Based on these conversations, and my own observations over the past several years, I started defining a list of core values which would help guide me and the community as we begin on this journey of change together. Ultimately, a community cannot thrive without a sense of shared purpose and values and I believe that part of our struggle over the last few years is that we were not all operating from a set of shared values. Over the weekend, I posted my initial list in the MVP forums for feedback and comment, and based on their feedback and the feedback of others, I present a short list of what I think are some shared values that we can all rally around. Open, Transparent and Inclusive – The community makes decisions in an open and transparent manner. As part of this we seek to be inclusive of the entire community so that everyone feels they have a stake in the process and in the outcome. Community Participation – DNN Corp engages with community in a partnership to develop the DNN Platform and to manage community efforts. As part of the partnership, we build consensus within the community to aid in acceptance of the decisions that are made for the platform and the community. Trust – We promote trust within the community. We operate on a merit based system, where people who have earned trust are promoted to positions of leadership and responsibility. We trust leaders to do the right thing for the community and the ecosystem. Passion – We are passionate about DNN. We seek to instill that same sense of passion in others. Our passion is focused on building a great web platform that is a joy to use, and that allows users to easily create and maintain websites and web applications. Having a set of shared values does not mean that our current culture will change over night. This is not a light switch that we can just turn on and expect everything to change. However, by articulating a set of values as a foundation for future change, we as a group can more easily understand and embrace the changes that we need to make. These values will also act as a guidepost for future decisions and actions that we take. Later this week, I’ll be posting about some of the community changes we have already made, and some of the changes we are in the process of making. In the meantime, if you have questions about the values I articulated here, or think we should consider adding other values to the list then leave a comment.